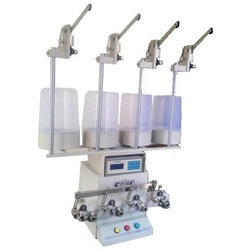 Distinct range of Transformer Winding Machines that we offer are manufactured as to fulfill the requirement of several transformer manufacturing industries or electrical or electronic products manufacturing industries. 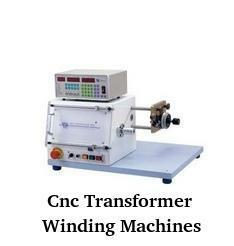 We offer these Transformer Winding Machines as per the specification of our esteemed clients by following International standard of quality. These Transformer Winding Machines are highly demanded in several industries because of several features such as excellent performance, high tensile strength, exact specification, durability and many more. We are renowned manufacturers and suppliers of Four Spindle Transformer Winding Machines from our impressive gamut of Transformer Winding Machines. These are highly appreciated for remarkable performance and are used in transformer industries apart from electric and electronic industries. These are precision engineered by using the finest grades of basic components that are procured from trustworthy vendors. Looking for Transformer Winding Machines ?